At first glance, I thought this was a pattern for eyeball ornaments — maybe something Cthulu-esque? 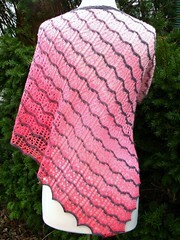 But instead, they are felted birdhouses: at once more mundane and much more interesting. The designer based them on something she’d seen in a garden magazine, and that birds actually like them — so they are useful and decorative. 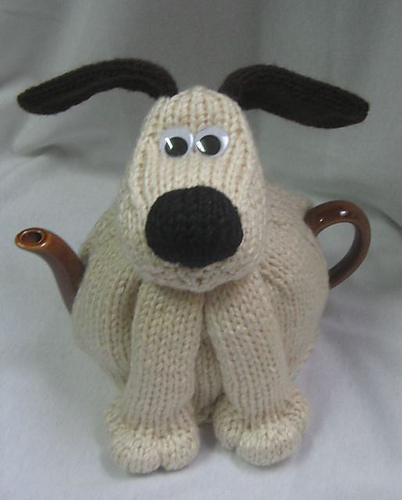 He may call this a “dog” tea cozy, but we all know which wonderful claymation dog he means: Gromit!! 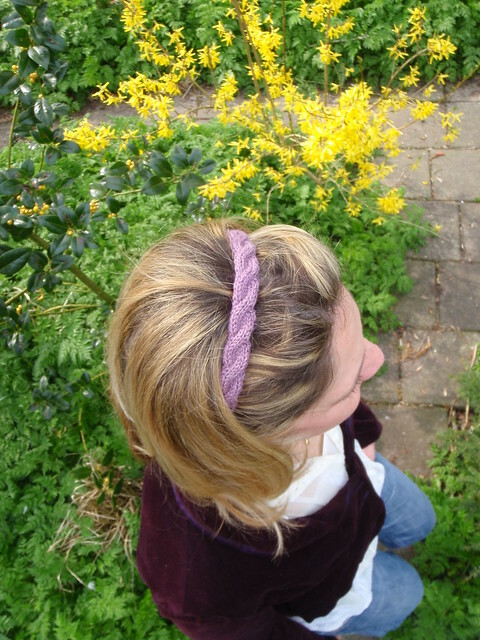 Two clever headband patterns, knit icord-style over elastic! The flower is a perfect place to show off a beloved singleton button, too.